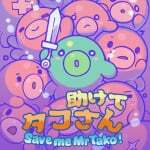 Last year, Californian publisher Nicalis announced the platform / RPG crossover Save me Mr Tako: Tasukete Tako-San was headed to the Nintendo Switch. The title channeling old-school releases started development way back in 2014 and was designed as a tribute to the original Game Boy. Nicalis has now revealed the eShop version will arrive on 30th October. The game is about a world at war that is occupied by humans and octopi. Mr Tako is a helpful octopus who is one day given special powers after a heroic act - allowing him to survive on land. It's now his duty to resolve the ongoing conflict between humans and octopi. To achieve this, Mr Tako will have to solve puzzles, explore dungeons and fight tough bosses. Are you excited to hear this Game Boy-inspired title is finally on the way? Will you be picking it up on release? Tell us below. Thought the thumbnail was WarioWare at first glance. So lame this doesn't have a physical release. Finally, I've been looking forward to this. Nah. I abandoned Nicalis as a dev to follow years ago over how they treated Europe. Lots of their titles for the 3DS eShop were never released here, plus we still get delays in Europe and incorrect pricing too. As a dev I’m all aware of pricing variations between EU and US and I know that anyone charging the same number in dollars as for pound sterling is wilfully trying to cheat you out of money. That fact plus avoiding EU for some games, and delays means I don’t end up wishing to financially support them. I’ve tried to contact them regarding these points in the past but one never gets an answer. I asked those anon without any hints at my position in the games industry too, but one should reply to any random Joe as they would a production exec. Would be nice if they stepped their EU game up a little. If other small time publishers can do it I fail to see why Nicalis can’t. I’ve been waiting for this for a good long while. Stoked it’s out so soon!! The wait is almost over. Ever since that direct last year where this was shown its been a day 1 purchase for me. So glad we're only a few weeks away to play this as it looks so genuine and truly committed to its roots. October 30th can't come fast enough. I will 100% be getting this day 1. Is Nicalis doing a physical release of this game? Really like the look of this one and will likely buy it. I would like the option to play in full colour as if you were playing on the Gameboy Color. Good to see it getting a PC release. Nintendolife doubles as a nice way to get well-curated PC gaming news, especially for a retro fan. I've been keeping an eye on this game. I won't buy it blind in case it has any deal-breaking flaws, but I can't wait to check out reviews. If that goes well, it will be the next addition to my Steam library.